Turnitin is a great tool to use for assignment submission and detecting plagiarism. 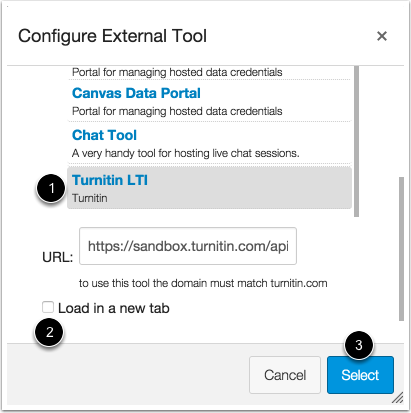 It is integrated into canvas, this guide shows you how to use it. In the Assignment Name field , create a name for the assignment. In the Description field , enter the details of the assignment for your students. When students view the assignment, the description appears at the top of the page. However, the text shouldn’t be significantly long in this space. 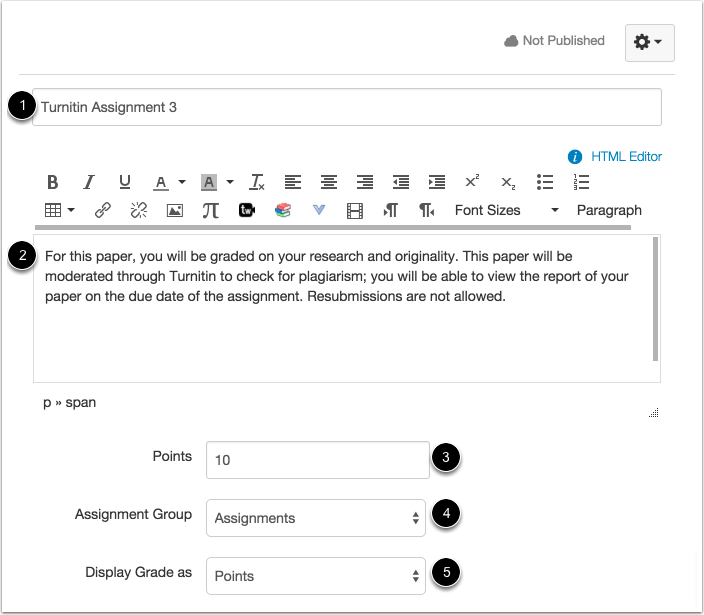 If necessary, you can include additional instructions for the assignment as part of the assignment Turnitin settings. 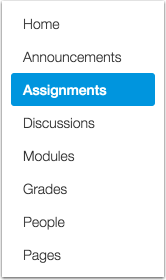 Enter the number of points for the assignment , select the Assignment Group , and select the grading type from the Display Grade as menu . In the Submission Type drop-down menu , select the External Tool option. Click the Find button . Note: If you want to use a Canvas rubric for the assignment, you must add the rubric before setting the External Tool submission type. Additionally, if you want to apply moderated grading, you must set up moderated grading before setting the External Tool submission type. Click the Turnitin LTI tool . If you want the assignment to load in a new tab, click the Load in a new tab checkbox . Click the Select button . Set due or availability dates for the assignment. These dates appear throughout Canvas like regular assignments. By default, Canvas will set your assignment dates for everyone in your course . However, you can assign the assignment to a specific student or section. Create a due date for the assignment in the Due Date field . The due date will already be populated for you if you created an assignment shell, but you can change it if necessary. 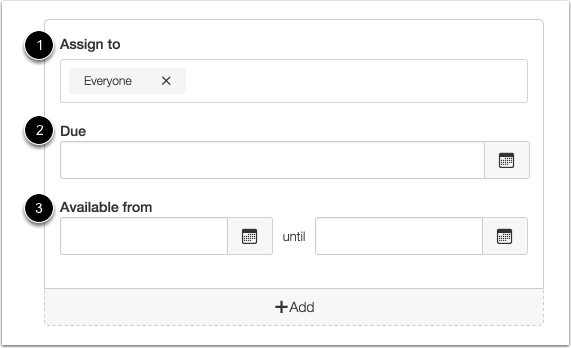 You also have the option to add availability date fields . If you set an Until date for the assignment, students will not be able to access the LTI tool to view their feedback.